As we get closer to publishing our next report on eSIM I have been thinking about some of the issues and common assumptions that get made about eSIM. One that I find myself in opposition to is the comment that Apple will be the one to lead with eSIM for smartphones. For those of you that do not know, Apple gets talked about a lot with regard to eSIM because news leaked six years ago that it was working with Gemalto to develop an eSIM of some sort – a project that was quickly put on the backburner once news broke and dismayed MNOs adopted a strong stance against it. However, that was six years ago and a lot has changed in that time, including Apple’s market positioning. If we were to identify “Peak Apple” it would have been the year that followed the launch of the iPhone 6 and 6 Plus. After seven years of growth driven by the iPhone (and boosted by the iPad and iPad Mini) the autumn of 2014 saw the first major revamp of the iPhone’s physical hardware. Tapping into (or combatting) the rise of the phablet the 6 and 6 Plus saw a larger form factor and screen introduced causing much excitement amongst consumers around the world after the relative disappointment of the 5S and 5C. These devices also coincided with the rapid penetration into China, Japan and other countries on the back of new commercial agreements. All in all, Apple could not do much wrong in 2014 and 2015. However, now economic uncertainties, the lacklustre reception of the 6S and 6S Plus, falling iPad sales and some disappointment relating to the Apple Watch’s sales means that Apple is much more sensitive to outside forces. Its most recent financial performance has improved but it was only last year that Apple reported it first ever declines in iPhone shipments and subsequently its first revenue decline. All of this has highlighted just how reliant Apple is on its iPhone sales these days. If Apple really want to disrupt the mobile industry by employing an eSIM and taking more direct control of consumers, then the time to do it was in 2014-15. However, the technology wasn’t ready to fully support this then, there were no specifications available and those that first came were focused on M2M and IoT applications. The only option would have been for Apple to go down a completely proprietary route which would have alienated many customers, partners and distribution channels. By contrast, Google has always been predominantly focused on software platforms to engage its user base and partners. Whilst it has dabbled with its Nexus devices, produced in partnership with a selection of OEMs, it has always been to drive wider sales of its Android devices and to promote the new releases of its OS in conjunction with hardware developments. Thus, whilst Android has become the dominant smartphone and tablet OS as well as growing share in other categories from TV to wearables and automotive. To date, Google has been open-market in terms of retail channel. Its Nexus devices were initially showcases at low cost rather than serious commercial offerings. This changed to a degree with the last iteration, the 6P which was more of a traditional flagship device but it remained with the existing distribution model. As a result, Google does not have the anywhere near the same level of dependency on mobile operators as Apple does for device sales – if for no other reason than it does not sell anywhere near the same volume of devices. Google has never been shy to comment on the need for change where it felt that the market was slow to evolve or companies were holding it back. Whilst Android has become dominant this is on the back of a degree of openness that has allowed partners to add their own take. This has seen it affect the business models and service delivery for fixed-line broadband sector, the computer industry, mobile, the Internet and now it is moving into accessing content, automotive, home automation, education and enterprise. The mobile sector is one which generally has not evolved hugely in terms of the leading markets, their structure and the major players (brands may change but not much else) and with Pixel, Google is throwing its hat into the ring. With the replacement of the Nexus brand with Pixel, Google has furthered its push into the high-end and is taking charge of the whole process as it learns to better understand the requirements to successfully merge with software with hardware. With the Pixel smartphones it has also started to build out its physical distribution channels. Now it has its first country-specific agreements which will see it gain more of a footing and a retail presence. For example, Verizon is an exclusive partner in the US, but it is not limited to operators and is also selecting traditional retailers where the market conditions are suitable. In short, Google has much less to lose and much to gain. Designing and controlling the hardware gives it a much better understanding of the requirements to optimise its apps and platforms. Acting as an aggregator to open up the mobile market and managing the service/connectivity would be an extension of this thinking. Building out a network or retail partners would be a natural fit for such a move as Google rolls out its connected devices for mobile, smart home and automotive. A further point of note accompanying the new Pixel smartphones was the built-in 24-7 customer care. One of the questions that we have for eSIM is the management of the device and user, having this designed into the device minimises this issue; if there is a connection or service problem Google can address this. Is the signal no longer of a minimum standard? With an eSIM the user’s profile can be simply ported to another network. Want some temporary roaming? Same fix. In fact, by employing multiple profiles, Google could go as far as to guarantee access to the best available network, ensuring high-speed data and voice calls for their customers. Google is relatively advanced in terms of trying out its own networks (e.g. Project Fi) and could be better positioned to set up as an MVNO or (data) service aggregator. Generally, it is more interested in the users’ data than hardware sales. Its new products include Google WiFi, a smarter Wi-Fi network, and Google Home which would link well with a mobile offering. If it wanted a base to future-proof its position as interface for our data, or to deliver its own OTT services and content, or to integrate Google Assistant into more environments then eSIM could be an integral component for much of this. 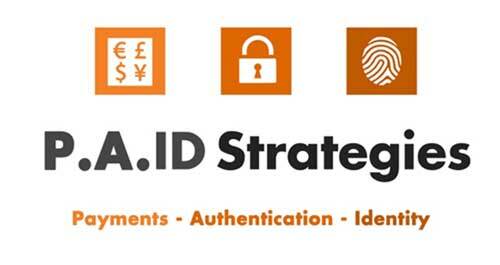 For more information on P.A.ID Strategies’ eSIM reports, data and market intelligence please contact info@paidstrategies.com.